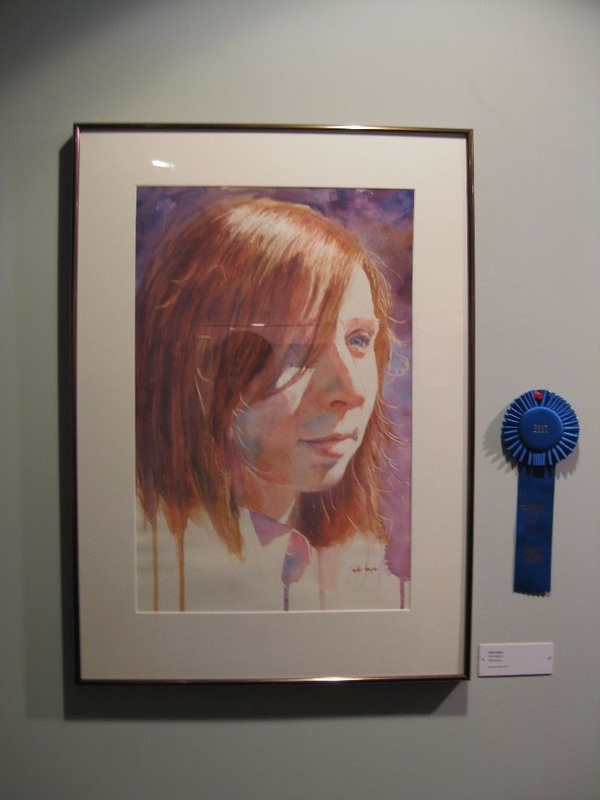 Our local watercolor society (Central Florida Watercolor Society) held its annual juried competition recently. 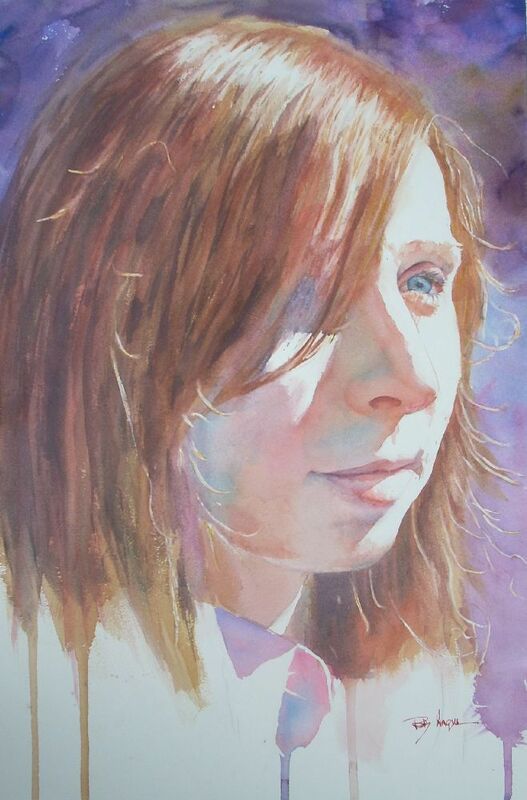 I entered a portrait I painted this year with absolutely no expectation of an award. To my surprise it was awarded first place. My goal in this show was to “participate” and to just show my fellow artists the work I have been doing lately. On the day of the show opening, I walked through the gallery and saw such excellent work, I was just pleased my piece was accepted into the show. As the crowd gathered, and the food and drink flowed, I began to receive complements from the society’s artists on my painting. That in itself was my reward for showing the piece. At this point I was pleased. 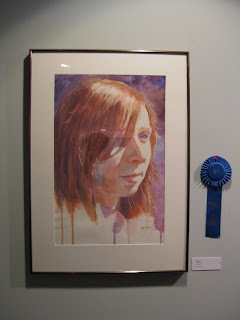 Then when the juror announced the awards, and my painting came in first, I was just blown away. Words cannot express my excitement. I was just Googling for some help with painting the hair in a watercolor portrait I am doing. I came across your blog. I find your portraits just wonderful. I like your style of realism mixed with abstraction very much. I really like The Red Head III portrait... and your description of the event! Thank you very much for your tips on painting hair. Very helpful. I first took a class 6 years ago, then did a fair amount of "intuitive" painting. :) Now I'm taking "watercolor 2" and learning more of the fundamentals. I'm enjoying it very much and working on my first portrait this weekend. It's coming out pretty well! Phew! This painting deserves a top honor - it's wonderful. I am amazed at the hair and have studied it closely to try to figure out your technique. It has all the great notes, soft and hard edges, highlights/darks, realistic color/colorful passages. Wonderful! Congratulations! I'm trying to learn how to draw, I really need to find more blogs like yours and this, can you suggest me some more?